You can drink your way to lower cholesterol. There are beverages that can actually help reduce your cholesterol levels if incorporated into a cholesterol-lowering diet. Here is a list of some of those beneficial beverages to consume that can aid in lowering cholesterol. Green tea: Consuming green tea prior to bed has been found to help reduce LDL cholesterol. Green tea is high in antioxidants. Ensure you’re getting green tea that isn’t overly processed as that can affect how healthy it is. Hibiscus tea is also a good tea to lower cholesterol levels. Tart cherry juice: In a study consisting of two groups, one that drank tart cherry juice and the other which did not, the tart cherry juice drinkers had significantly lowered their cholesterol levels at the end of the 12-week study. Citrus juice: Citrus juices have been found to contain antioxidants which have been shown to help the heart. Other studies have found consuming lemon with water is also beneficial at reducing cholesterol. Therefore, give your water some flavor and some cholesterol-lowering benefits by adding in a slice of lemon. 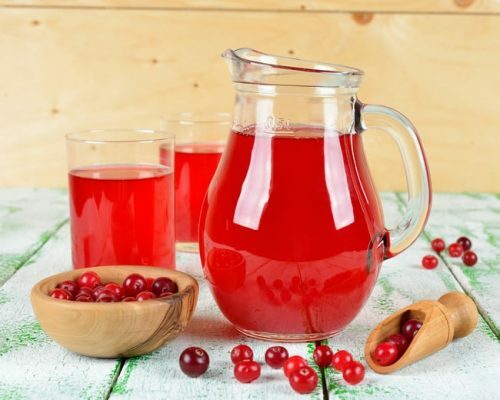 Cranberry juice: Sugar-free cranberry juice – not a cocktail – has been found to raise HDL cholesterol, the type of cholesterol needed to remove LDL cholesterol. Two glasses a day is what it took to see HDL levels increase. If cranberries are too bitter, then blueberry juice has been found to show promise in reducing LDL cholesterol levels. Incorporating these beverages into your diet can have a positive impact on your cholesterol levels.